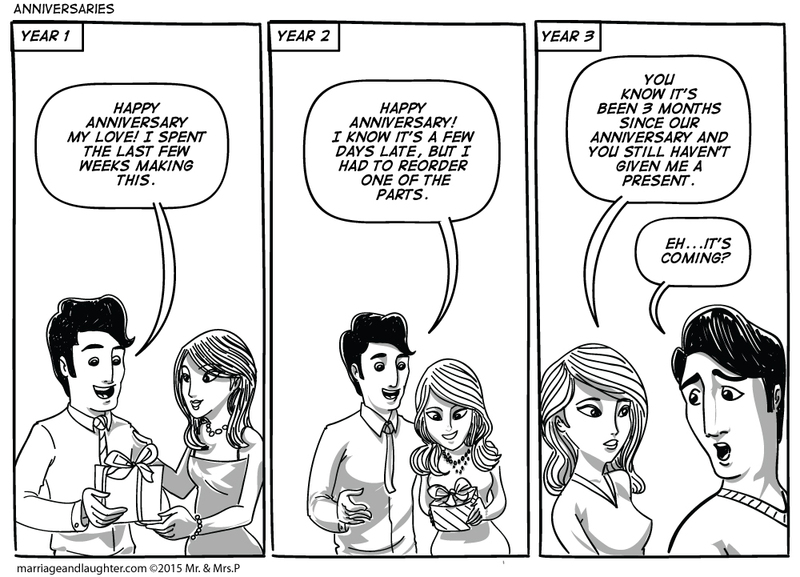 It’s funny to watch the progress of our anniversaries through the years. After we got married, we both thought we should honor the traditional wedding gift themes by year (e.g., paper for first year, cotton for second, leather for third), but rather than just buy a gift, it has to be something we put our own effort into. The first year, we worked very hard on our gifts. It was actually quite hard to find time to work on them secretly when the other person wasn’t around. The second year, we both ended up gifting our gifts about a week late. And now, after celebrating our third anniversary a few months ago, I’m still waiting on my gift. Maybe I’ll get it by Christmas? On a somewhat related note, we recently finished watching the series Master of None on Netflix. I was pleasantly surprised by how much I enjoyed it. The episode “Mornings,” was my absolute favorite. It really struck a chord with me, and was one of the most honest portrayals of the ups and downs of a relationship I’ve seen in a very long time. I definitely recommend watching it if you haven’t yet!